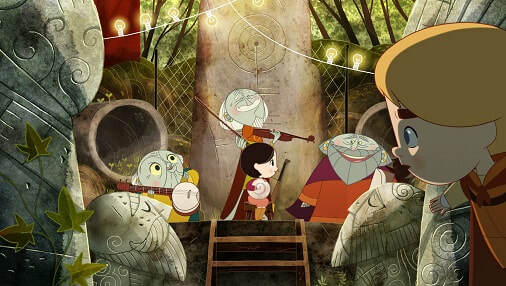 ​Song of the Sea tells the story of Ben and his little sister Saoirse – the last Seal-child – who embark on a fantastic journey across a fading world of ancient legend and magic in an attempt to return to their home by the sea. From the Oscar-nominated makers of The Book of kells and featuring the voices of Brendan Gleeson, Fionnula Flanagan, David Rawle, Lisa Hannigan, Pat Shortt and Jon Kenny. Appropriate for children of 7+. All children under 12 must be accompanied by an adult. Note: Capacity is strictly limited to 50 patrons due to venue capacity limits – patrons will be accommodated on a first come, first served basis.